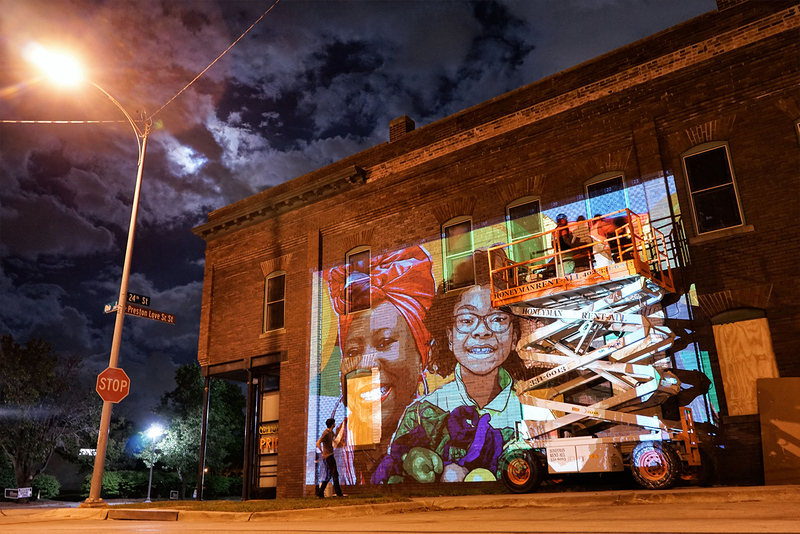 Through community-driven projects that focus on neighborhood-level relationship building, The Union's Neighborhood Arts initiative provides local artists with opportunities for professional growth and North Omaha residents, of all ages, with an array of opportunities to actively engage in creative practices, neighborhood rejuvenation, and building more positive community narratives through participation in the arts. 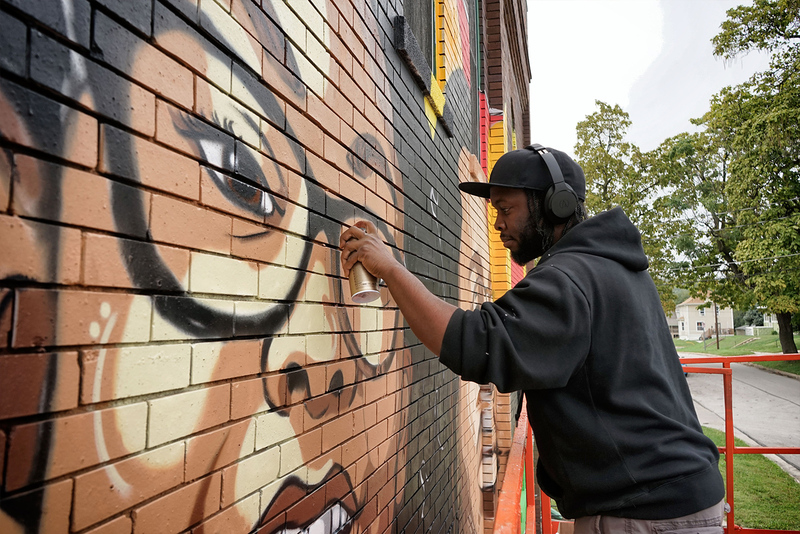 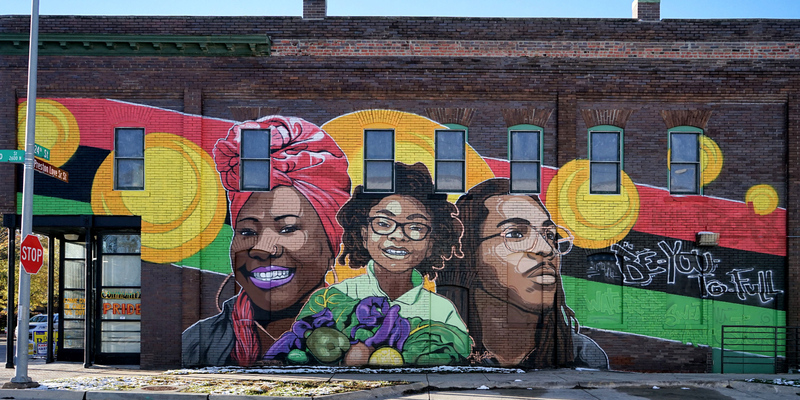 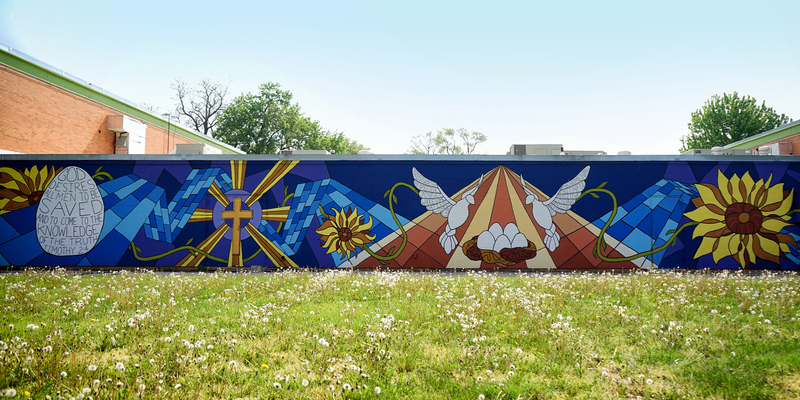 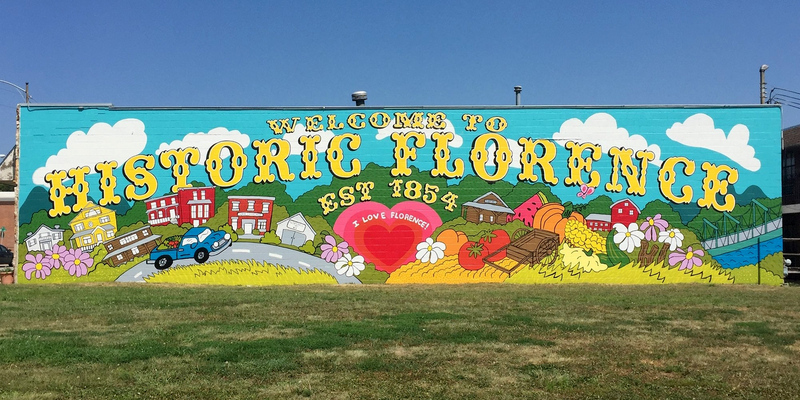 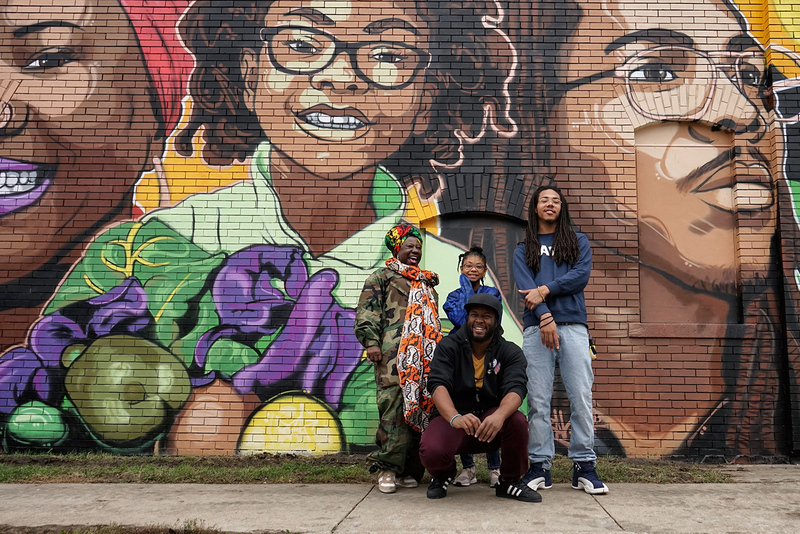 Our North Omaha Mural Project connects local artists and communities to collaborate on public art that represents the spirit of the neighborhood. 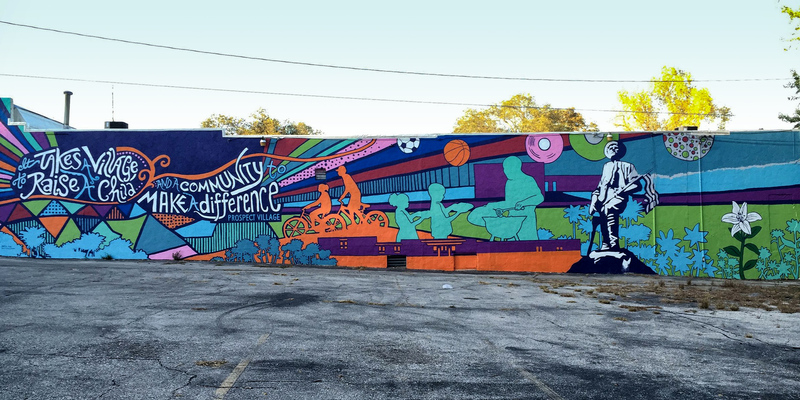 Launched in the summer of 2015, The Union has worked with youth groups, neighborhood associations, business districts, and neighbors to create murals throughout North Omaha. 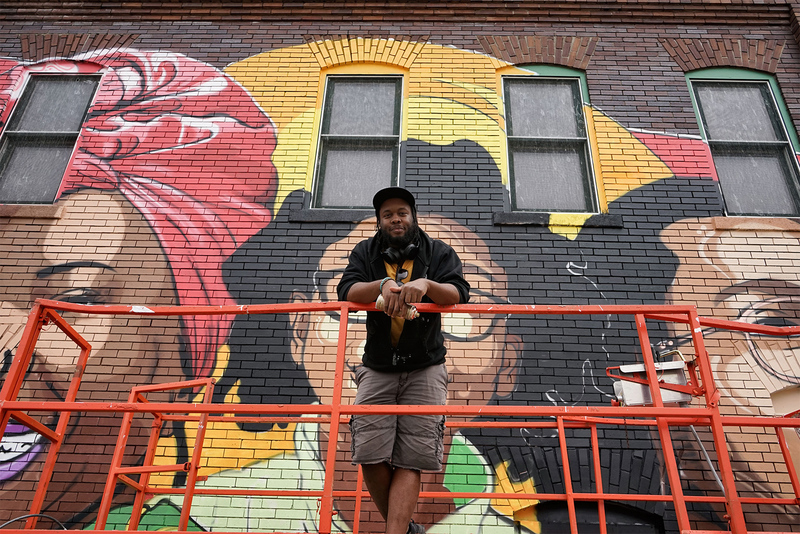 The Union and Omaha Small Business Network collaborated in placing a mural at the intersection of North 24th and Ohio Streets (on the north wall of Styles of Evolution). 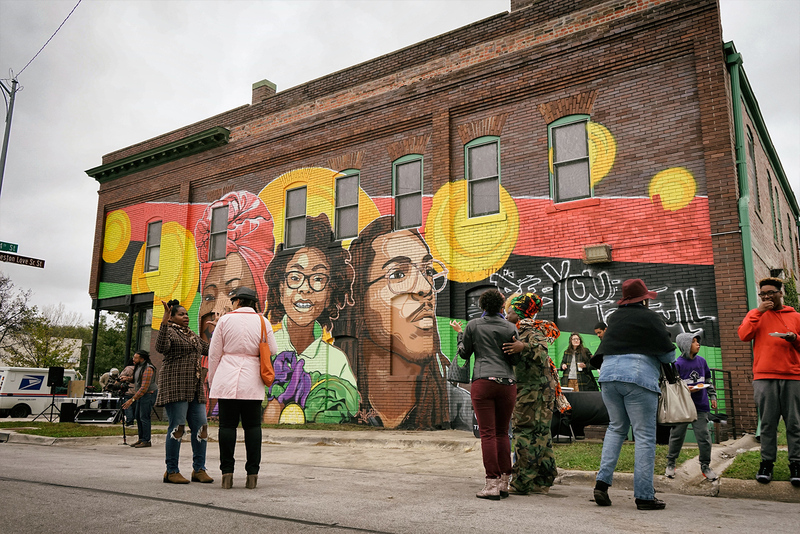 After gathering neighborhood input at three public meetings, Lead Artist, Reggie LeFlore, designed a piece inspired by the three colors of the Pan African flag, reflecting the heritage and future of the North Omaha community.